In a country like Pakistan, where only 2.5% of the GDP is spent on the health industry, poor healthcare conditions have prevailed in the country. In order to improve this pitiable situation, MARHAM – a healthcare startup has been launched to facilitate patients and doctors by ensuring the availability of authentic and experienced doctors within the vicinity of a user. 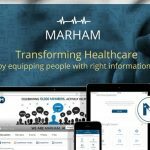 MARHAM is an online platform which provides patients with a list of validated doctors. The validation has been done with the assistance of Pakistan Medical and Dental Association. MARHAM can be accessed by either website, through a mobile application or via iOS application. MARHAM is a Lahore based startup that is currently targeting 12 major cities in Pakistan but with the passage of time, it is expected to expand its availability. MARHAM allows patients to search for best doctors in Pakistan by searching the profile of doctors and after satisfaction; the patient can make the online appointment. For the facilitation of doctors, a dashboard service is provided which acts as a scheduler for them where they get live information about the status of their appointments. Whenever a new appointment is made, doctors are notified about that and they can even postpone or cancel any appointment with the ease of a single click. MARHAM also provides recognition to the doctors based on their performance and services. In a period of one year, MARHAM has been able to list down more than 9000 accredited doctors and more than 30,000 people have downloaded MARHAM application. Due to its potential and need in the market, MARHAM has been able to attract multiple investors in the market and has been able to bag an investment of $1.5million within a short period after getting operational.